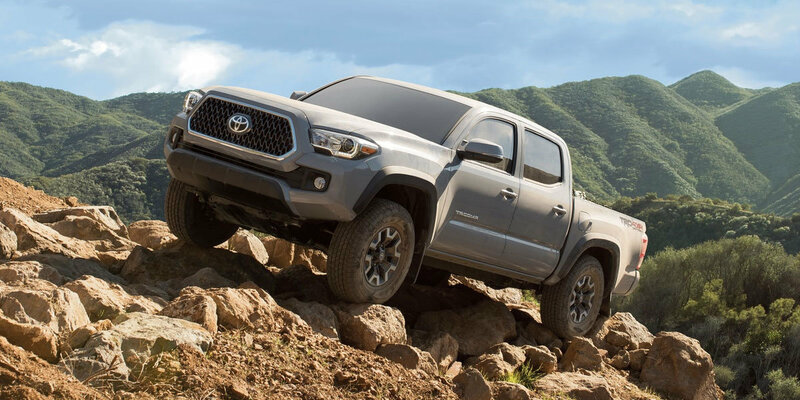 The number one truck in the midsized truck market is the 2019 Toyota Tacoma. It reigns supreme worldwide as the do-it-all truck of choice. If you are a loyal Tacoma fan, you will surely choose the upgraded 278 hp 3.5-litre V-6 engine. For the best in off-roading performance, include the Toyota Tacoma TRD Pro trim, which pairs a FOX® heavy-duty suspension with an awesome exterior TRD branding package. Even with its bold utilitarian design, the 2019 Tacoma has a voguish swank making it suitable for those dress-up date nights dining at Bourbon Prime at the Marriott Morgantown, Waterfront Place. Load an ATV in the back or a kayak on the roof and hit the Monongahela River Trail for some fun. 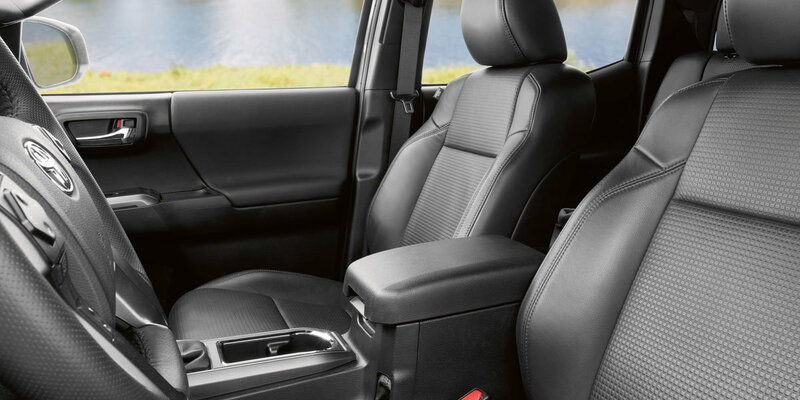 With the roomy dual cab, the 2019 Toyota Tacoma doubles as a trendy family carrier for which you will probably get a little extra street cred. Now that’s a trifecta of performance, versatility and style! On or off the road, the Tacoma keeps you and your passengers safe with Toyota’s 5-Star Rated Safety system. 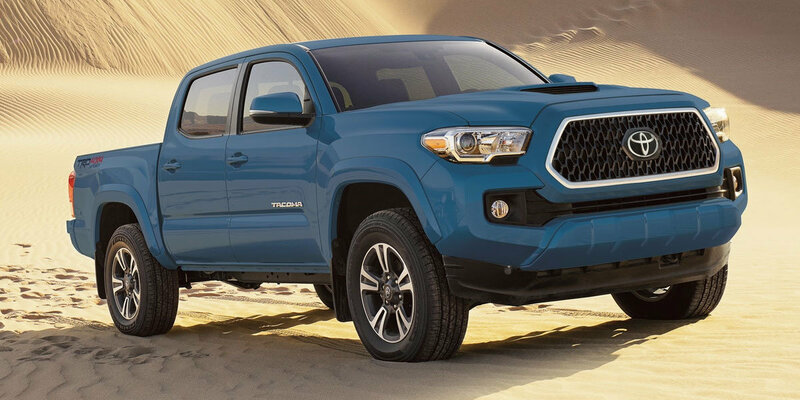 As if that was not enough to keep your mind at ease, the new 2019 Tacoma is purposefully engineered with a fully boxed front sub-frame and one-piece frame rails for extra strength. Toyota's best selling midsized truck can be yours today! Let University Toyota get you into one and put some adventure your life. To schedule a test drive, just call the dealership at 304-244-3519. Not looking for a new car, but want to keep your current vehicle running at its best? University Toyota is also a full-service center that can cater to all your automotive needs. Instrument cluster screen size: 4.2 in. Instrument cluster screen size: 4.2 in. Instrument cluster screen size: 4.2 in. Instrument cluster screen size: 4.2 in. Instrument cluster screen size: 4.2 in. Instrument cluster screen size: 4.2 in. Instrument cluster screen size: 4.2 in. Instrument cluster screen size: 4.2 in. Infotainment screen size: 6.1 in. Infotainment screen size: 6.1 in. Infotainment screen size: 6.1 in. Infotainment screen size: 6.1 in. Infotainment screen size: 7 in. Infotainment screen size: 7 in. Infotainment screen size: 7 in. Infotainment screen size: 7 in. Includes black 16 in. Alloy wheels, overfenders, mirror caps, door handles, and headlight bezels. Includes 16-inch silver alloy wheels and color-keyed overfenders. Includes dual zone automatic climate control, heated front seats, and auto headlights. Includes color-keyed rear bumper, rear parking assist sonar, blind spot monitor, and rear cross-traffic alert. Includes entune premium audio with integrated navigation and app suite and rear parking assist sonar. Includes bed extender, exhaust tip, black 5 in. Oval tube steps, and spare tire lock.